Over the last 10 years we have had the pleasure of working with many global organisations, across many sectors; retail, financial services, telecoms, technology, hospitality, professional services on the design and implementation of their Branded Customer Experience * (BCE) programmes. Engage the senior leadership early: Top down leadership is important in articulating a clear customer vision and aligning the whole organisation around it. People take more notice of what leaders do rather than say, so engage leaders in ways that are visible to the organisation. Establish a cross functional governance process: Implementing a BCE requires company wide engagement. Ensure composition of the Steering Group and Working Group is truly cross functional. Pay attention to the employee experience: As we know from the Service Profit Chain there is a strong correlation between the employee experience and the customer experience. Address any factors that are having a negative impact on employee morale. Appoint people with strong collaboration skills: One of the biggest obstacles to progress on any CX implementation is lack of buy-in from key stakeholders and functions. Make sure the people you appoint to lead the effort have strong collaboration skills which will be needed to create alignment, commitment and engagement. Customer insight: Start with customer insight gathered from your most important target customers – uncover the functional and emotional factors that drive retention and word of mouth referral. Design a Branded Customer Experience: That the organisation can deliver seamlessly across all channels. Three factors should drive the design of your BCE – what matters most to target customers; what your organisation can excel at and become known for; where the competitive opportunity is. Simultaneously focus on consistency and differentiation: Make sure you fix the basics – to drive functional commitment. Also address the different set of factors that inspire customers to be emotionally loyal to your brand and create a competitive advantage. Bottom up as well as top down: Engaging managers and employees at all levels is critical. Start a Champions Programme – properly funded and supported – to help build momentum and embed the cultural change that is often required, from the bottom up. Behaviour change: Don’t underestimate the degree to which behaviour needs to change. Over-invest in internal communication and training for managers and employees at all levels. 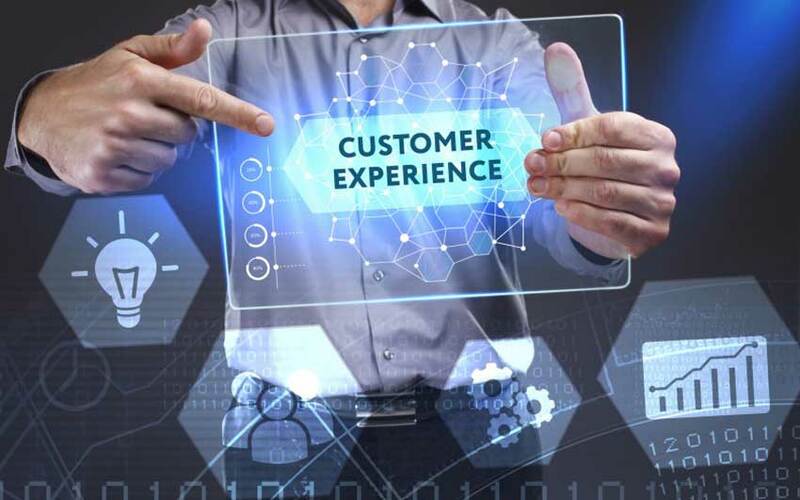 Embed Customer Experience into the organisation’s infrastructure: Measure the experience you are committed to delivering; ensure performance management and HR processes are aligned with the CX and drive the right behaviour; integrate customer experience priorities into the business plans and budgets. If you would like to discuss any aspect of your customer experience and training strategy contact us at Johna@cp2experience.com or +44 (0)1932 590 282.